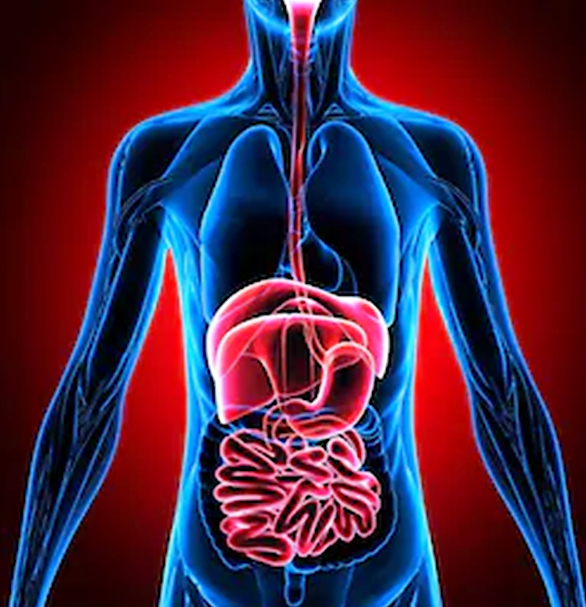 The gastrointestinal tract (GIT) is a very special organ and performs a number of special functions that go well beyond the breakdown of foodstuffs (digestion) and absorption of nutrients. These include the destruction of pathogenic organisms and substances, the production of nutrients, the provision of energy sources for cells lining the intestine, the provision of a physical barrier between what is in the GIT and what is on the other side of the GIT, and it comprises an important part of our immune system. The immune system works together with barrier function and this is crucial – when barrier function is compromised pathogens enter into the body from the GIT resulting in an immune response. How do we keep our g.i. tract healthy and functioning optimally? The GIT is more than the sum of its parts. The main components of the GIT are the mouth, eosophagus, stomach, small intestine and large intestine. A healthy mouth (oral environment) is important for maintaining GIThealth. Pathogenic bacteria flourish in an unclean mouth and contribute directly to gastric and duodenal ulcers. The mouth serves important roles in mechanically grinding food into small particles, filtering the foodstuffs that enter into the stomach, and secretion of enzyme-rich saliva that initiates carbohydrate digestion. What are the main roles of the stomach? The stomach acidifies its contents – this serves to destroy pathogenic organisms as well as aids in the acid hydrolysis (chemical breakdown) of large-molecule foodstuffs such as carbohydrates, proteins and fats. The stomach also serves as a reservoir, generally not permitting the passage of mixed foodstuffs (chyme) into the duodenum until it is of adequate consistency. Barrier function of the stomach is very important not just because of its acid environment, but also to prevent the passage of pathogens and other molecules into the body before they have been adequately dealt with by other regions of the GIT. It is therefore important to prevent gastric ulcers, and to treat them effectively when they do occur. There are many nutraceuticals that can help – and this is a topic for a future blog. What are the main functions of the small intestine? The small intestine comprises the duodenum, jejunum and ileum. The duodenum receives chyme from the stomach, absorbs much of the water and electrolytes present, receives bile from the gallbladder (in humans; horses do not have a gallbladder) which is used for emulsification and breakdown of fats and oils into small molecule fatty acids. Several enzymes that act to further breakdown carbohydrates and proteins also enter into the small intestine, with the duodenum playing a further major role in absorption of small molecule carbohydrates. The jejunum is the site of peptide and amino acid absorption, some fat and carbohydrate absorption. The ileum absorbs small molecule fats, and remaining small molecule carbohydrates, fatty acids, peptides, water and electrolytes. The small intestine and the large intestine are comprised of only a single epithelial cell layer that provides a physical barrier between the inside of the intestine (the lumen) and the interior of the body. Keeping in mind that much of what is inside the GIT does not belong inside our bodies, this single layer is crucially important. When it fails we experience conditions such as ulcers, and other types of leakiness that manifest in various forms of irritable bowel syndrome or leaky gut syndrome. The inside ofthe GIT is also lined by a mucous layer that is produced by the epithelial cells.This mucous layer is under continuous attack by detrimental microorganisms and eroded by passage of digesta. To counter this, the mucous layer also receives contributions from beneficial microorganisms growing in the intestinal system. What is the GIT microbiome? Yes, there is a whole micro-world of living organisms within the GIT – bacteria, yeasts, fungi, archaea– some of which are beneficial and some of which are pathogenic (detrimental). Hundreds of different species, and billions of microorganisms. Balance between them is key – destruction of all pathogenic organisms may compromise GIT and whole-body health, just as too much may be detrimental. Together, these organisms comprise the GIT microbiota and the living environment in which they live in, is termed the GIT microbiome. The microbiome is considered by some to be an organ, such as the liver and kidneys are organs. Regardless, the microbiome plays important roles in mucous membrane maintenance, epithelial layer barrier function, breakdown of non-digestible carbohydrates into beneficial nutrients, communication with the immune system, and so on. Particularly in the large intestine. New roles continue to be discovered. What is leaky gut syndrome? Nutraceutical ingredients (including but certainly not exclusively prebiotics and probiotics, are proving beneficial and perhaps essential in maintaining barrier function. The GIT barrier is comprised of two structural components: a single layer of intestinal epithelialcells (IECs) that are tightly held together by networks of numerous junctional proteins forming a nearly impervious barrier when healthy; and a layer of peptide and antibiotic-rich mucous that lies ‘above’ the IECs. Various stressors, which can act from within the GIT or from your environment, are the biggest challenge to maintaining healthy barrier function. Compromised barrier function results in a leaky GIT, and the range of such conditions is termed leaky gut syndrome (LGS). Features can include one or more of: gastric ulcers, intestinal inflammation, intestinal leakiness (manifest as diarrhea or constipation). These conditions are typically associated with impaired nutrient absorption, compromised immune function and failing health. How can nutraceuticals benefit the GIT? We are learning that nutraceuticals can play a number of different and important roles in maintaining the mucosal and the IEC barriers in the face of intestinal and environmental stressors (i.e. unusual foods, heat, exercise, confinement, transport, new surroundings, rough handling). Some act on the stomach to help maintain the gastric mucosa, reducing the prevalence and severity of gastric ulcers. Others provide nutrients specific to the needs of the IECs and the mucosal layer. Others provide nutrients to the microbiota within the GIT (termed prebiotics), helping beneficial (commensal) bacteria proliferate while controlling populations of pathogenic bacteria. The probiotics are often bacteria and yeasts that augment or modify the microbiome in a beneficial way, and their activity can be enhanced with the use of the correct types of prebiotics to match the specific strains of bacteria and yeasts being consumed. And others appear to provide direct benefit to IECs by providing molecules, or stimulating beneficial microbes to produce molecules, that are used by IECs to maintain tight junctions between cells. Together, good basic nutrition working with the right nutraceuticals, can help maintain a healthy GIT under all conditions and help restore a leaky GIT. TheNutraceutical Alliance will help you design your GIT health superproduct. Contact us now!